Can teeth whiteners get you that really white, bright smile? Whitening toothpastes, DIY bleaching products and treatments from your dentist may help bring back that white, bright smile. We check out the options and tell you about their pros and cons. There are 2 types of stain: surface and intrinsic (deep) staining. Surface stains: These are mainly caused by over-indulgence in tea, coffee, red wine and cigarettes. The stains attach themselves to the pellicle (a thin layer of protein from saliva that forms on your teeth every day) or take hold in the pores of tooth enamel. Ageing: Wear and tear thins the outer enamel - the dentine layer below then begins to show through, making the teeth appear yellow. Antibiotics: Tetracycline and other antibiotics can stain developing teeth blue-grey. Fluorosis: If children swallow too much fluoride toothpaste when their teeth are developing there's some risk they'll develop 'fluorosis' or surface mottling on the teeth. Root canal work: A single tooth can sometimes darken following this procedure. A dental tooth shade chart. Whitening toothpastes claim they contain additional abrasives and polishes to make the brushing action more effective. Some also have ingredients to remove staining material or to chemically alter stains so they're less able to stick to your teeth. Australian and UK consumer organisations have conducted user trials of these products. After 4 weeks, half the Australian triallists and three-quarters of those in the UK felt their teeth were somewhat whiter. The UK report noted, however, that some of the positive results could be because the triallists brushed their teeth for longer - the full 2 minutes demanded by the trial. The abrasive ingredients in whitening toothpastes aren't likely to damage tooth enamel. Whitening toothpastes should remove some surface staining, but they won't lighten the natural colour of your teeth and they're usually more expensive than other toothpastes in the same range and pack size. Simply brushing your teeth for longer with an ordinary toothpaste may well achieve the same effect. You can buy products to bleach your teeth whiter over the counter at a pharmacy or online. They use hydrogen peroxide (or carbamide peroxide, which breaks down to hydrogen peroxide) to bleach stains and the tooth itself. Paint-on gels: These are applied once or twice a day for up to 2 weeks. The taste is not unpleasant - but the gel may rub off if it hasn't dried before you close your mouth. Tray-based whiteners: Gel is placed in a tray (mouthpiece) and worn for up to 15 minutes twice a day for 2 weeks. Over-the-counter trays are unlikely to fit properly and may irritate the gum if the whitening agent seeps out. Strips: These are worn on your teeth for 30 minutes twice daily for 2 weeks. They're more convenient than trays, but they don't provide full coverage (they leave your back teeth and maybe the areas next to your gums unbleached). An overview of bleaching product user trials by Australia's Cochrane Collaboration found that these products work better than a placebo or no treatment. The trials covered tray, strips and paint-on-gels. Bleaching may cause gum irritation and sensitivity to heat or cold, although these side effects go away soon after you stop the treatment. Bleach can also penetrate cracks or cavities in your teeth - and high concentrations can cause irreversible damage to the tooth pulp and enamel, as well as irritating the gums and lining of the mouth and weakening filling materials. Make sure you have your teeth checked by a dentist before starting a DIY bleaching treatment. If you have cavities or failing dental work you're more likely to experience irritation and sensitivity. Don't be tempted to keep going with a DIY bleaching treatment for longer than 14 days. There's a point beyond which your teeth won't get any whiter - and continuous bleaching can damage tooth enamel. Wait at least 3 months between treatments. These products are more effective at removing surface stains than "whitening" toothpastes. For any significant staining, it's better to see a dentist. Your dentist will check your teeth and any cavities or cracks will be repaired. Dentists use custom-made trays or in-surgery bleaching to whiten deeply stained teeth. Your dentist should start by asking about your medical history to find out how your teeth became discoloured as different types of stains will respond differently to the treatment. Your teeth will be checked and any cavities or cracks will be repaired. We asked members about their experiences of professional whitening. "Found it very successful. Only needed five or so nights"
"The effects lasted quite some time - many months"
"Good results but sensitivity increases hugely". Depending on the bleaching product used, you wear the trays either overnight or for a short period twice daily. The overnight option is more effective - but you're more likely to feel sensitisation (although the dentist can give you a desensitising gel to alleviate this). The treatment usually lasts 10 to 21 days. 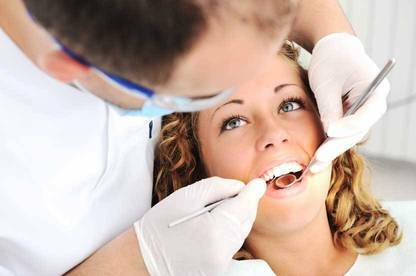 You need to have a preliminary consultation to examine your teeth and take impressions for the trays. In-surgery bleaching: Those who had had in-surgery bleaching were less satisfied. For this treatment the dentist cleans your teeth, paints a resin over your gums to protect them, and paints a concentrated gel on your teeth. An intense light is then shone on your teeth to activate the bleach. The session takes around 60 to 90 minutes. "It was expensive, time-consuming, boring and not terribly effective"
"My teeth went 3 to 4 shades lighter - but I would only do it if I had money to burn"
"I wouldn't recommend it for a smoker like me". Some dentists provide a take-home tray and gel. Non-vital whitening: Non-vital whitening is used to treat a single tooth which has darkened after an accident or root canal work. The dentist drills into the tooth, places whitening agent inside and reseals it. One member found that the improvement was only temporary - a crown was the best solution. Dentists can use higher concentrations of bleach because they can control your exposure to it and check the health of your teeth and gums. Teethwhitening products that contain more than 12 per cent hydrogen peroxide are now tightly controlled. Only dentists and registered oral health practitioners supervised by a dentist will be allowed to sell these products and treatment must be carried out by a dentist or under a dentist's supervision. Bleaching at the dentist's gives the best results - it can lighten the colour of teeth by several shades. It's most likely to be successful where discoloration is light or evenly distributed (without dark bands or patches). It works well on yellow teeth and on brown stains, but blue-grey stains caused by tetracycline may not lighten as much as the surrounding enamel. This can make such staining appear worse than before. Bleaching won't work on tooth-coloured fillings, veneers, or crowns. First, get your teeth checked and professionally cleaned by your dentist. Then use a whitening product (with no more than 7 per cent hydrogen peroxide) for up to 14 days. Finally, reduce your intake of the substances that are causing the stains (cigarettes, red wine, coffee, tea). If you have deep stains or colour changes you'll need a dentist's help. Professional bleaching will not be a permanent solution - but if you avoid foods that stain, the effects may last for up to 3 years before you need another bleaching treatment. 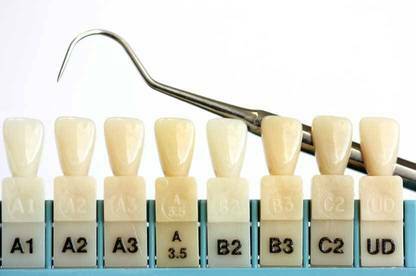 For very deep staining you could consider veneers or bonding, or a crown for a single tooth. The rules around the use of hydrogen peroxide in teeth whiteners have been tightened. Most treatments use hydrogen peroxide to bleach surface stains, but hydrogen peroxide can irritate the gums and cause the teeth to become sensitive. Overuse of these products may even damage tooth enamel and resin fillings. All teeth whiteners containing hydrogen peroxide now have to carry warnings to stop using the product if you experience irritation, and not to use it for more than 14 days unless the treatment is supervised by a dentist. Because of overseas reports that children and teenagers were over-using tooth whitening strips and bleaches, the labels must also warn against children younger than 16 years using these products. Products that contain between 7 and 12 percent hydrogen peroxide are restricted. They can only be sold or applied by a dentist, a registered oral health practitioner or a tooth-whitening practitioner. Products that contain more than 12 percent hydrogen peroxide are even more tightly controlled. You can only buy them from a dentist or a registered oral health practitioner, and they can only be applied under the supervision of a dentist. Good article but....is it true that such an important article on an issue where we as Kiwi's spend 1000's of dollars are 7 years outdated??!! Or am I mistaken! !